Interested in Networking aspects of OpenStack including solutions for multi-cloud environments. 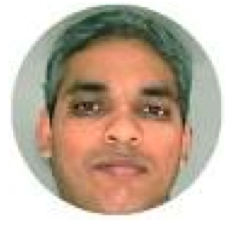 DP Ayyadevara is Director of Product Management for OpenContrail at Juniper. He has 16 years of experience in technologies ranging from Open SDN and Cloud Orchestration solutions to Service Provider and Enterprise networking. Prior to Juniper, DP was a Product Manager at Mirantis responsible for Networking and Services in Mirantis OpenStack, SDN partnerships and Telco NFV Strategy. Over the past 16 years, DP has played various roles from software development to product management and product strategy in large companies such as Cisco Systems and startups like Mirantis. DP holds an MBA from UC Berkeley and a Masters in Computer Engineering from UMd, College Park.